I’m quite sure that every day since the regional hose-pipe ban came into effect at the beginning of April, it has rained. Not just the odd bit of drizzle here and there but we’ve had showers, daily, since the beginning of April, when the hose-pipe ban came into effect. It’s ironic isn’t it? The daily showers (sometimes more heavy rain to occasional thunderstorms) have meant that the last few buckets of manure that I need to sift through are now very, very wet. 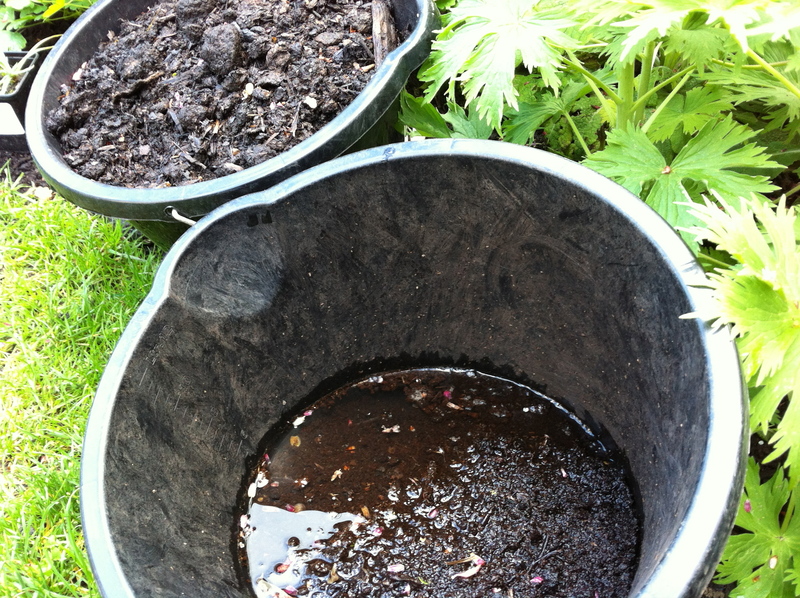 What’s worse than hand-sifting rotted manure is hand-sifting soaking wet well-rotted manure. When there’s too much water in it, that’s when it feels like…you know what, I’m not going there. Suffice to say it’s going to have to spend a while drying before I resume working on it again and at this rate, that will be sometime in July.